This user was certified a Wiki Apprentice Level 2 by Anil Prasad . I extend a very big Hello!!!!! to all the wiki educators. I m very excited to join this community. I am a pure Indian with an Italian name. I have done my BSc., Doeacc O'level, Master in Computer Application, M.Phil (Computer Science). I have done my MPhil research in the area of "Biometrics - Pattern Recognition System" supervised by Dr S.K. Muttoo, Reader, Department of Computer Science, Delhi University. 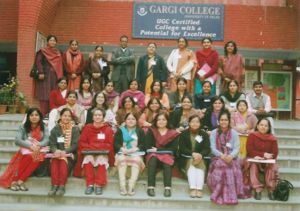 I have been teaching as a Assistant Professor, Mathematics Department, Gargi College, Delhi University. Being an educationist I m fond of reading books, articles relating to my subject and explaining at lengths to people regarding any doubts they have in the area of my proficiency. Another area of my interest is nutrition. I never miss reading a column in the newspaper or any article on nutrition. 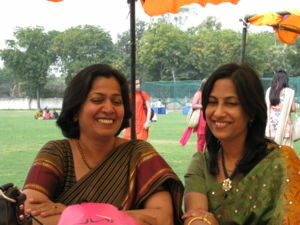 I m fond of cooking n also trying out new recipes if I get time. I feel if I weren't a Computer Science lecturer I would have been a Nutritionist. Also I want to pursue my Phd in Data Mining. Apart from the above two areas my sincere interest lies in music (Indian) in all forms. I have been a part of many performances at my school level and college level. I luv to make school charts and projects on any theme for my kids which I feel I m reasonably good at. I enjoy going for morning or evening walks and swimming. This page was last modified on 26 September 2009, at 16:22. This page has been accessed 6,637 times.